Who does not want discounted food? Food, aside from the fact that it is a commodity and a need to every individual, is a also a way for families and friends to gather together and catch up with each other’s different stories. Because this is how important food is, a lot of restaurants, diners, and cafes have emerged to meet the people’s demands. 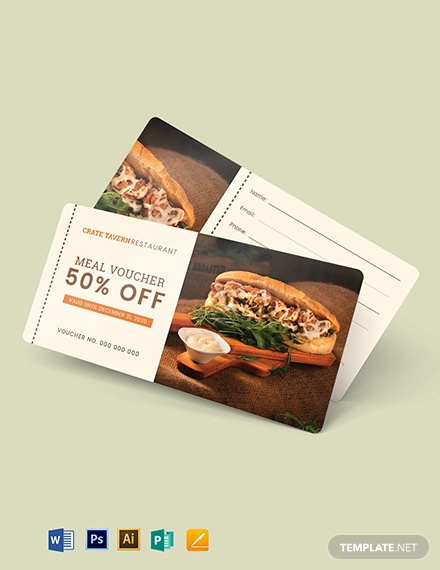 In order to boost sales for their food, restaurants provide sales, discounts, and promotions for their food usually in the form of food vouchers. 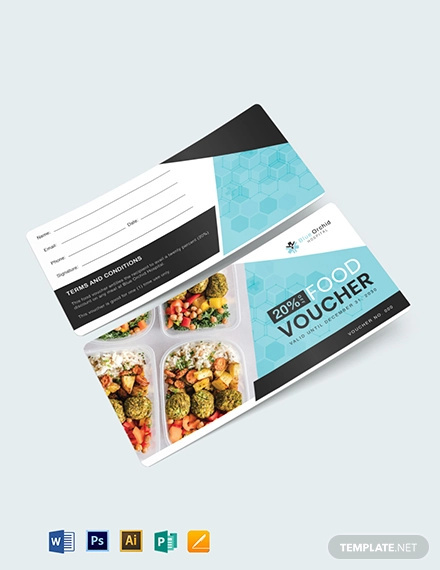 More about food vouchers as well as their examples and templates are contained in this article. In order to create presentable food voucher, the following are the important elements that must be present in a food voucher. 1. 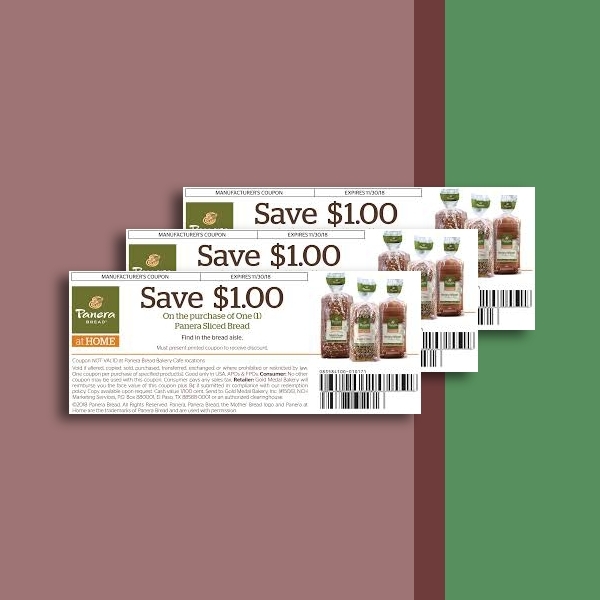 Value and advantages: One factor that makes a food voucher appealing is its worth or value. Of course, you can buy more when the value of the voucher is bigger. However, when determining a certain value for your discount voucher, you must analyze and assess whether you are just giving away too much or you are going beyond what you can afford to lose. 2. 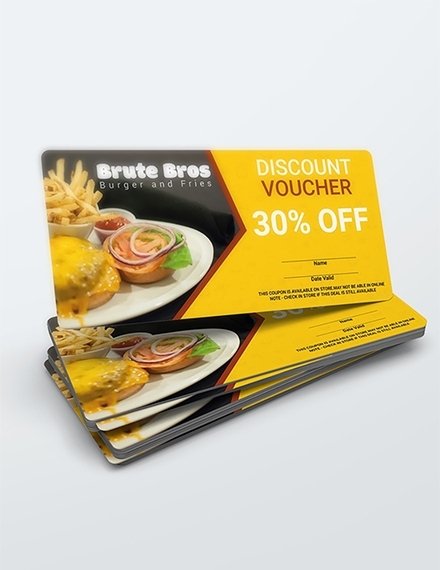 Expiration date: A food voucher, just like any other restaurant vouchers, must have an expiration date to encourage immediate sale and to limit the date on which the voucher would be available. In most cases, people would make a move when it is near due, so having an expiration date is a great idea so that people will not delay and miss their chance in redeeming their free or discounted goods. 3. Terms and conditions: The terms and conditions must also be clearly specified in your voucher. You do not want people to misunderstood the criteria and conditions for your discount, so make sure that you specify them in your voucher. 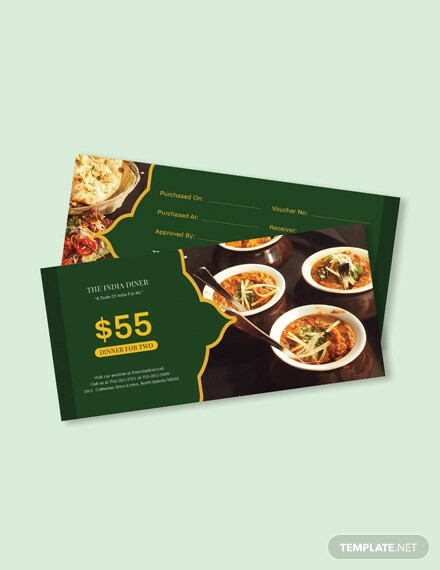 For example, your voucher will only be redeemable upon their purchase of $400 and up or they will be given food vouchers when they refer your restaurant to at least five friends. In this way, you will also promote and increase your profit. 4. 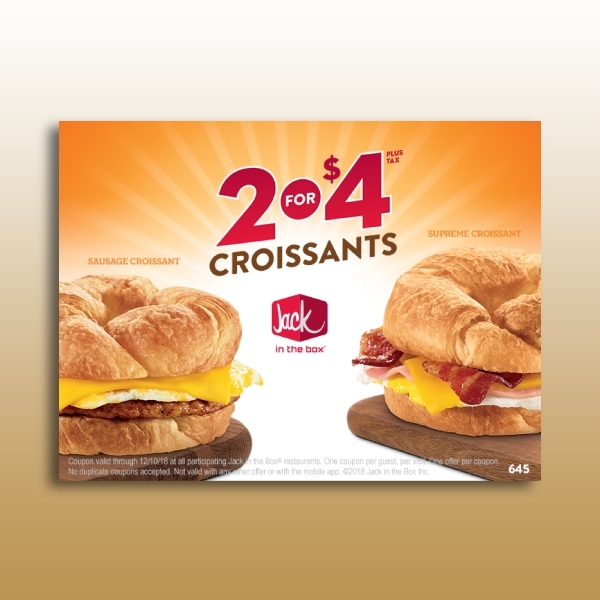 Graphics: Although not entirely necessary, graphics, illustrations, and photos can add visual impact to your voucher. 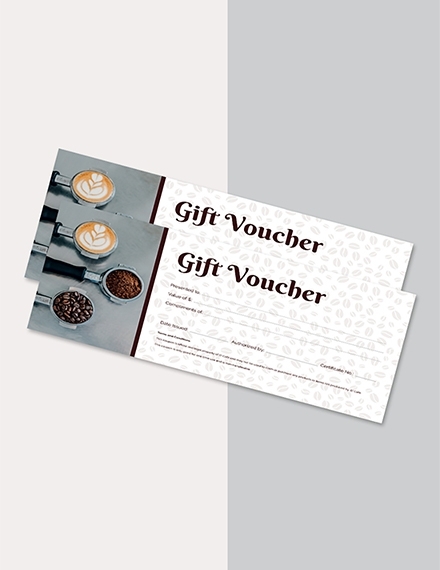 People will be drawn more to your voucher through the designs and graphics you incorporate in your voucher. 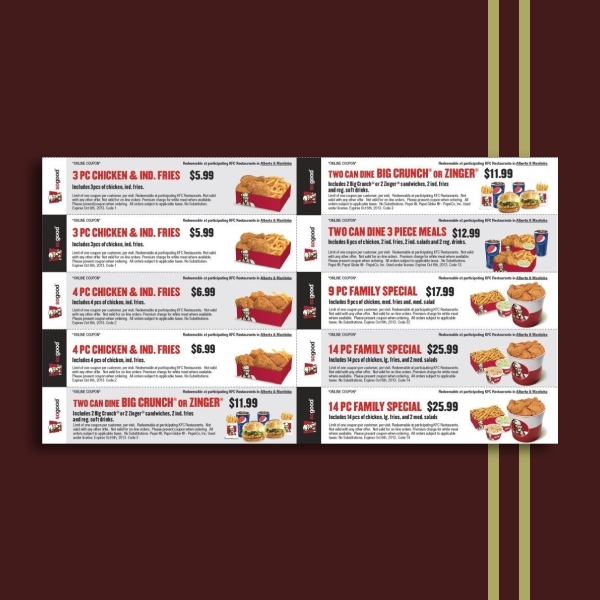 You may also see cash voucher designs. 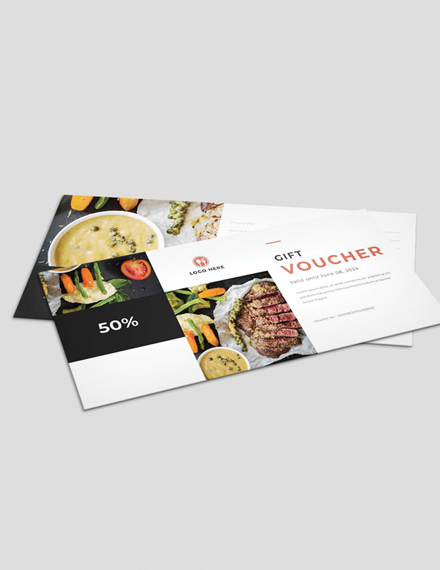 There are a lot of voucher examples and templates you can find on the internet such as those presented above. 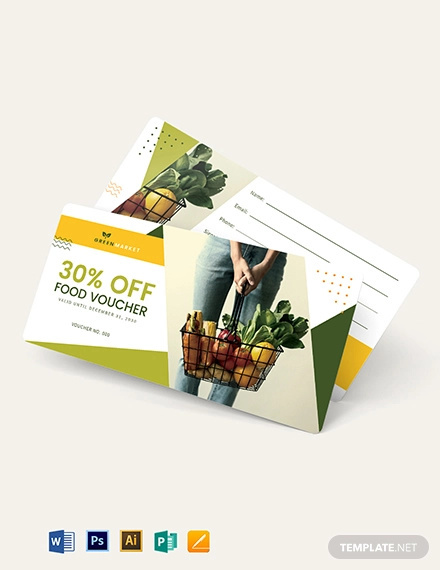 In this section, in order to help you create a food voucher with ease, we will provide the steps on how to create a food voucher using a voucher template. 1. 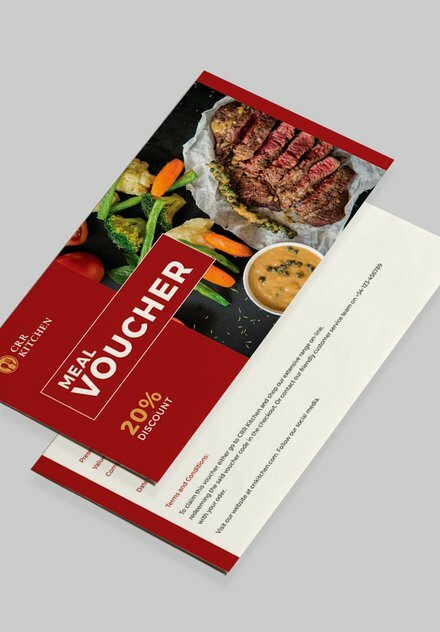 Pick a voucher template of your choice: Once you are done choosing a voucher template or a printable voucher that you think is best suitable for your food voucher, plan your layout, theme, and organization of the elements of the voucher. Planning is very essential, not just in creating a voucher but in whatever you do, in order to have a smooth process in your creation of voucher. 2. 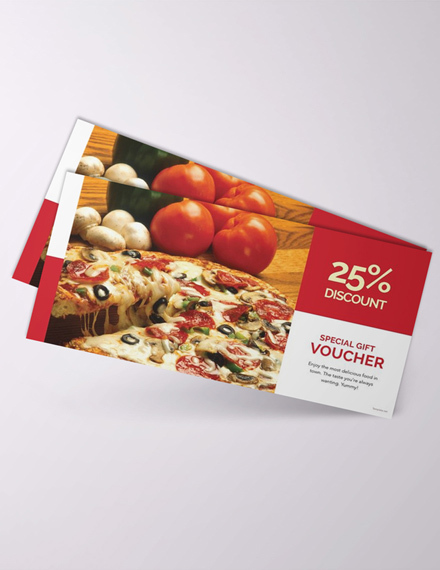 Decide for the size and shape of your voucher: It is important that in the early stage of your voucher creation, you already know the size and shape of your voucher so you can estimate and decide on how to arrange the contents of your voucher. 3. Add the content: Colors, design elements, typography, and voucher elements such as value and advantages, expiration date, terms and conditions, and graphics. 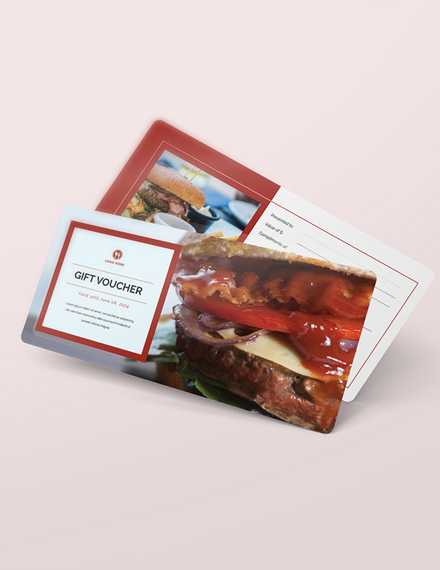 In choosing for the colors, a lot of advertisers would recommend, when it comes to food, to incorporate something red on your voucher design as this would increase the appetite of the viewer. For the typography, make sure that you arranged your words and texts well, avoiding clutter in your voucher. 4. Proofread: Finalize everything, check, and double-check if there are some important elements that are missing, watch out for spelling and typographical errors, check if there are missing or misplaced graphics, and check if there are any errors as a whole. 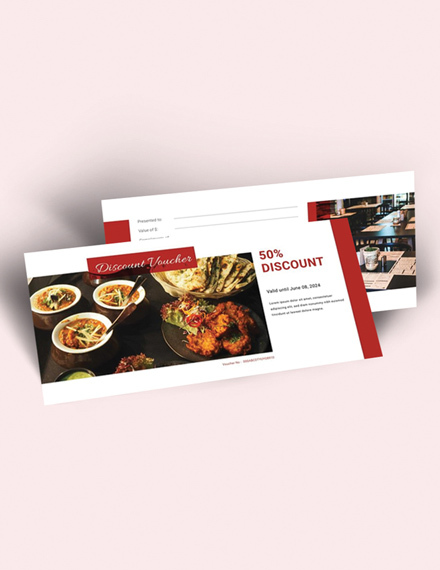 You must avoid committing errors not only in your vouchers but also in all your marketing materials as this would affect the credibility of your company. 5. Decide for the material: There are a lot of types of paper that you can choose for your voucher. The final decision lies in your hands. 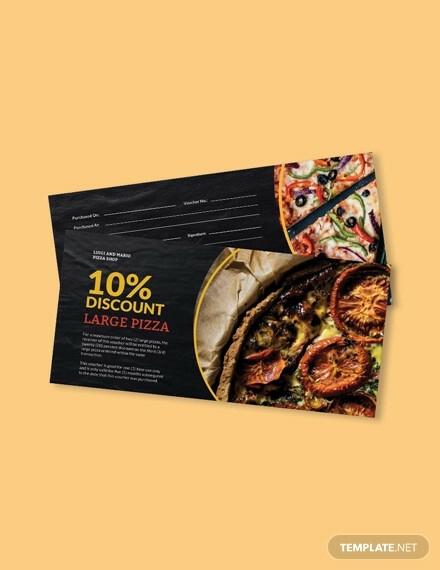 But, whatever paper you choose, no matter it is matted or gloss, make sure that it goes well with your voucher content and it is the personality that you want to achieve for your food voucher. 6. Send to print: You can find a lot of printing companies in your locality that are willing to print in bulk. Make sure that you are choosing the printer with the highest quality in order to attain the best quality for your voucher. 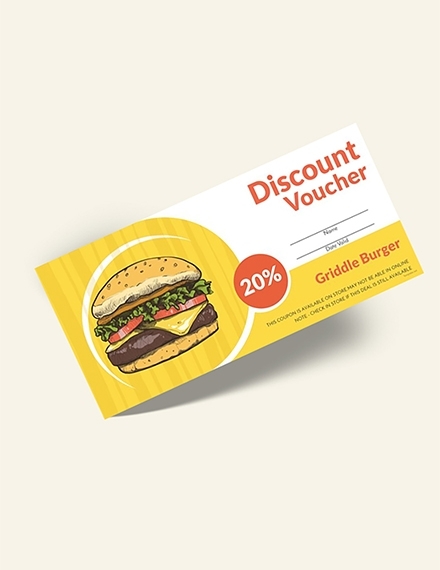 Discount Food Voucher: Regarded as the most common among the other types of vouchers, discount food vouchers provide discounts to the holder of the voucher. Usually, the discount is in a form of percentage less from the original price. For example, if a discount food voucher provides a 10% discount, a $500 food would be discounted by $50. Hence, the customer would only pay $450 for the food. 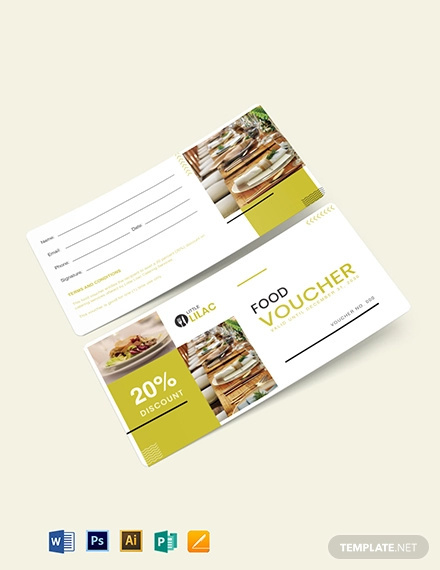 Food Voucher Equivalent to Certain Amount: Another type of food voucher is a voucher that is equivalent to a certain amount. 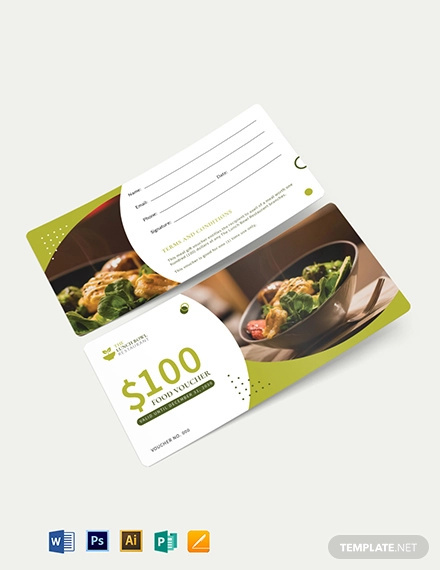 For example, if your food voucher holds a value of $20, a customer holding the voucher would receive a $20 discount from his or her food purchases. 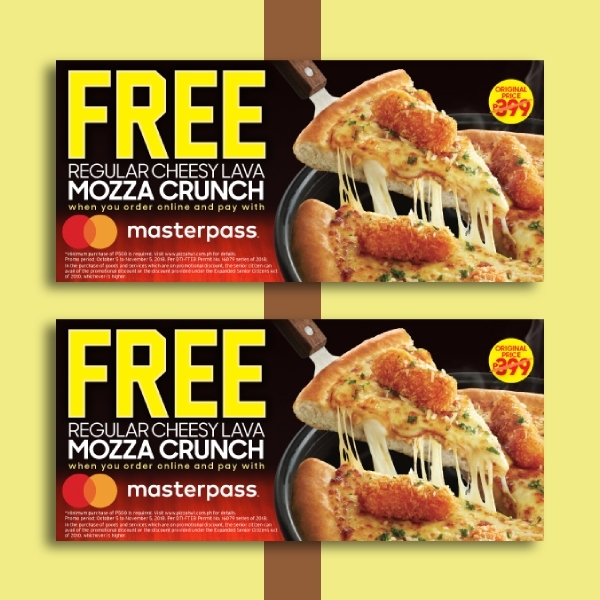 Buy Several Get One Free Food Voucher: Almost similar to the previous type of food voucher, this voucher will give one food for free only if the customer would buy several food as specified by the company. 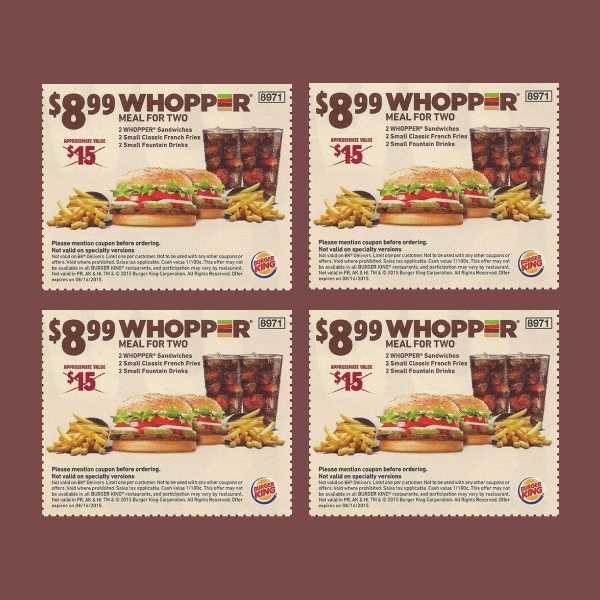 For example, the condition is in order to have one free, the customer must buy five burgers. 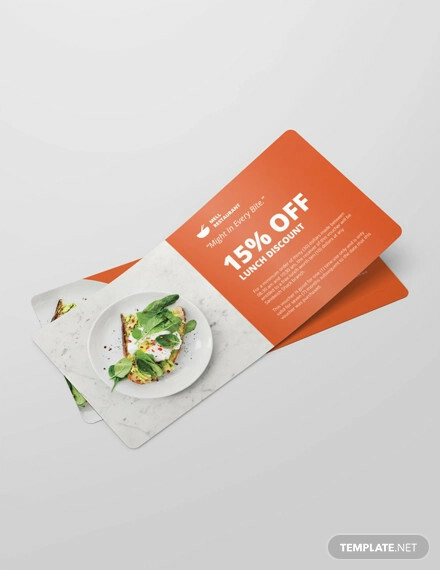 Buy One Get One Half Off Food Voucher: Other companies would find “buy one get one food voucher” a burden as this would affect their profit. 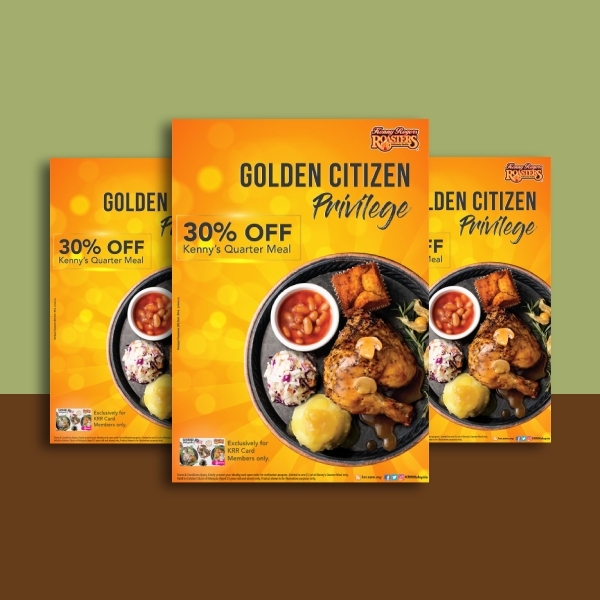 Hence, some companies devise a strategy for their voucher called the “buy one get one half off food voucher” which means that if a customer would buy one, he or she is entitled to one-half of the price of the next item or 50% discount if he or she would purchase another food. 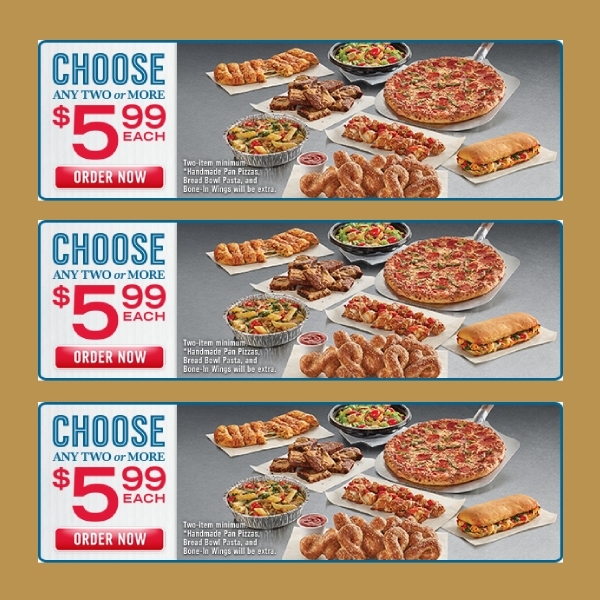 The difference between the two strategies is that in the former, the additional food is given for free, while in the latter, the additional food is given for only half its price. How do I get food vouchers? Food vouchers are distributed by their respective companies. Others are distributed by third parties such as advertising sites that are paid by the company in order to distribute those vouchers. You can also search the internet as there a many food vouchers you can find for free if you would just dig deep on different sites related to food. 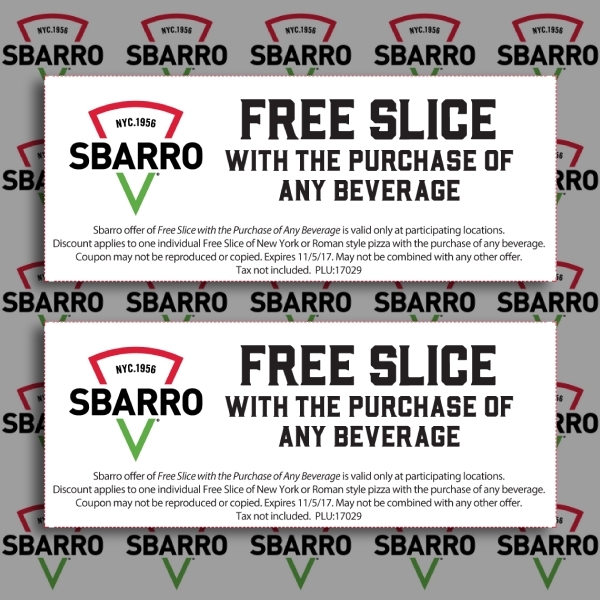 Some vouchers may provide extra benefits, and you never know, you might find a voucher that would let you get some food for free. 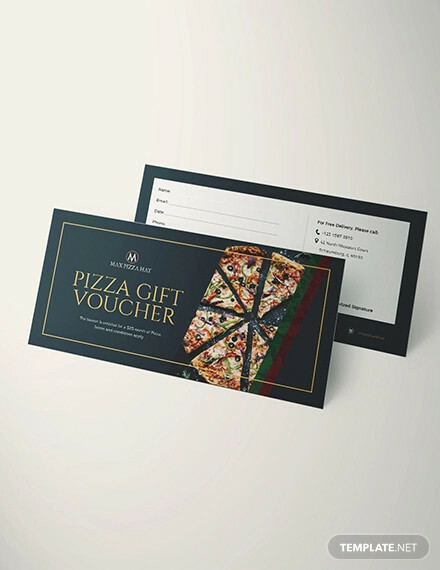 Why are food vouchers important? 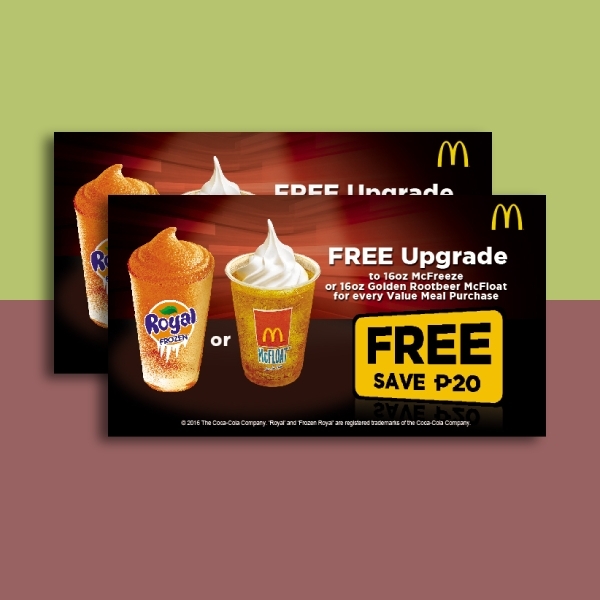 You might be thinking that food vouchers are just additional expenses to the company distributing the vouchers. 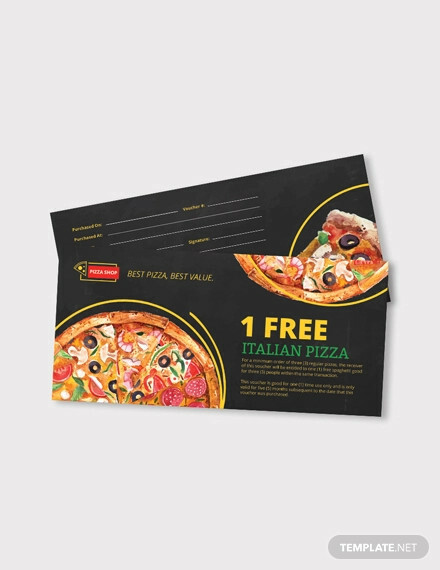 However, behind these food vouchers are the marketing strategies of the company. 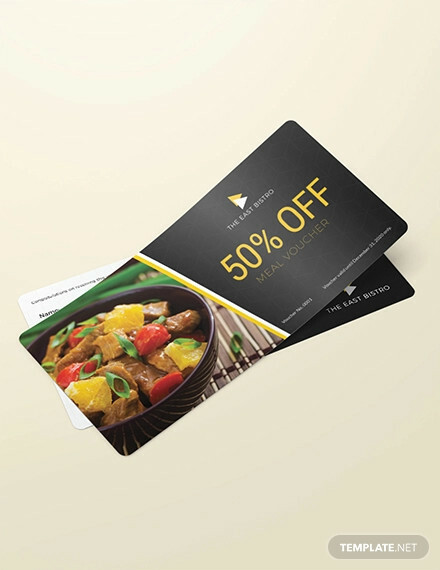 In short, food vouchers may provide benefit to the customers, but it is also a marketing material for the company. 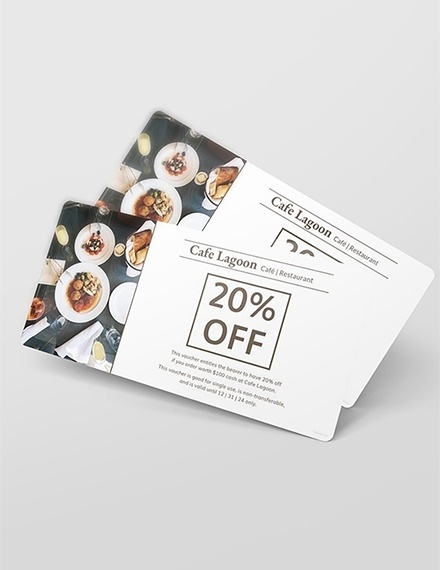 Through vouchers, potential customers will get to know more about the restaurant or shop, and people will be waiting an update from the said company in case of future promos and discounts, making them a long-term client of the company. 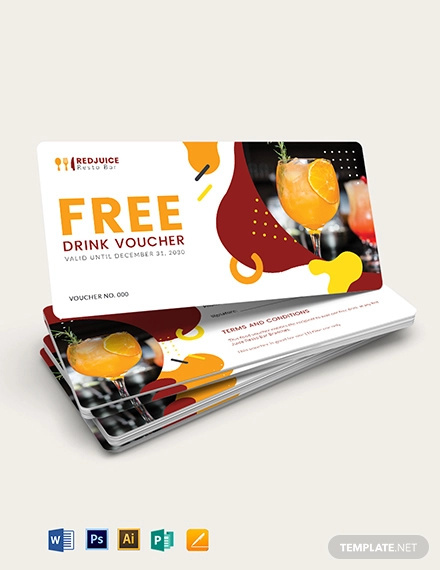 How can I make food vouchers? 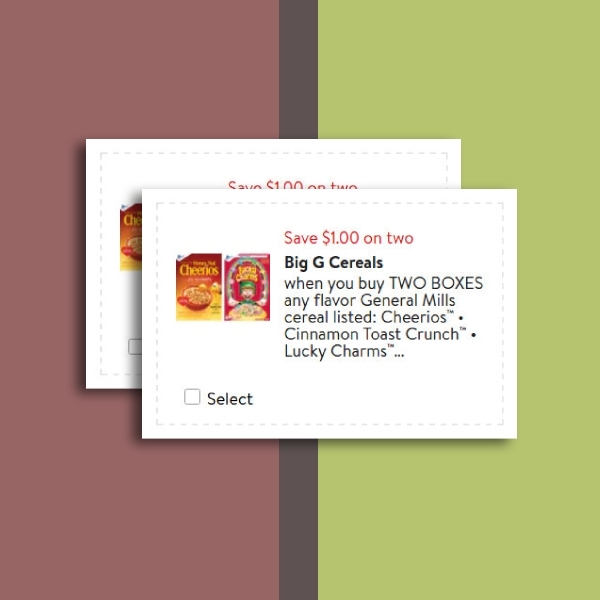 Food vouchers are easy to create even with the simplest tool that you have on your computer. 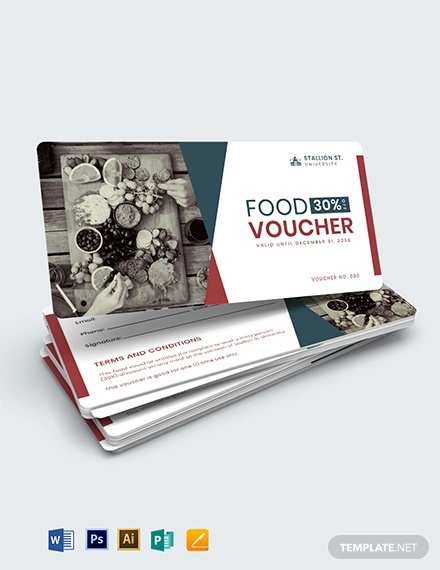 There are a lot of programs and applications that you can find on the internet that can help you create a food voucher with ease. 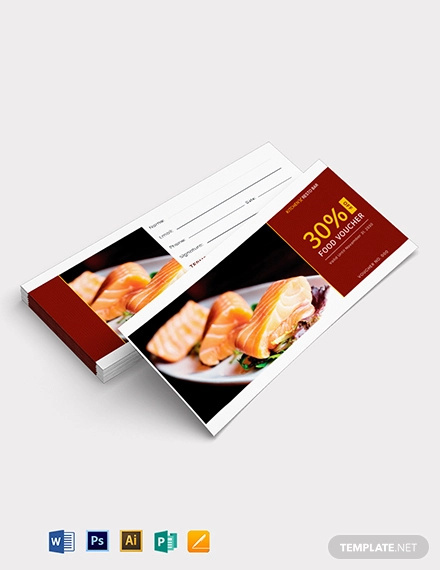 You can also use templates like those presented above and make a food voucher following the steps as discussed above. With the use of templates, you do not need to work from scraps. 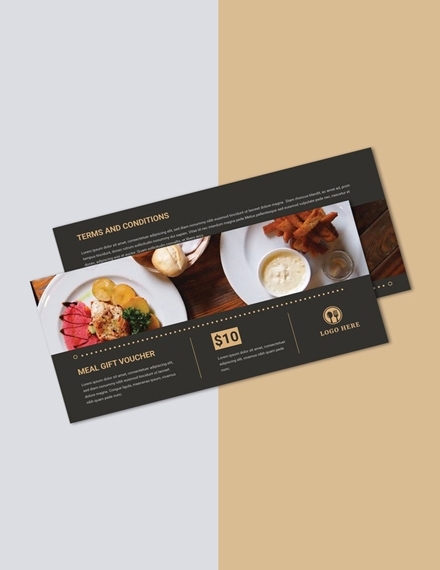 You can easily edit the template and apply the elements to achieve the look that you want for your voucher.